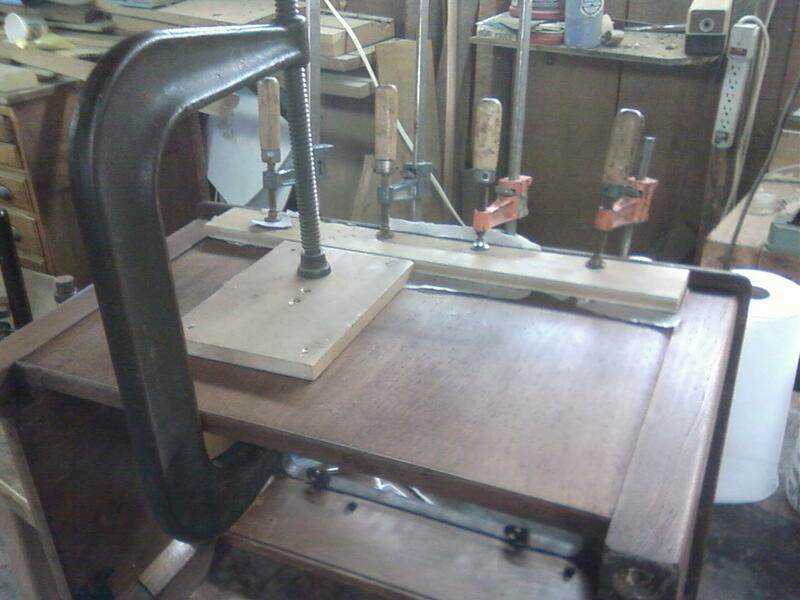 The machine itself is in great condition and was protected very well from the elements by its walnut case. The case on the other hand has seen better days. Water damage on the top surface and back has caused a loss of the original finish and has also loosened a lot of the veneer. Luckily, the damage was all reversible. 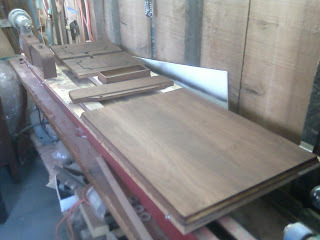 Whoever built the case used some nice veneer for the case which will show off beautifully when restored. 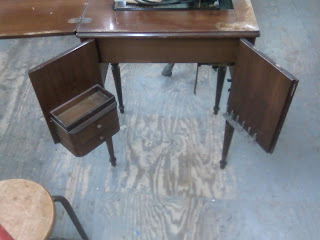 below are some photos of the repairs and preparation for finishing on the sewing machine. 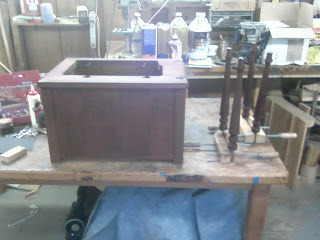 I will post some photos of the finished product when it is done! 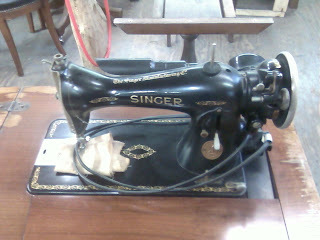 the first four photos show the machine as it came to me. 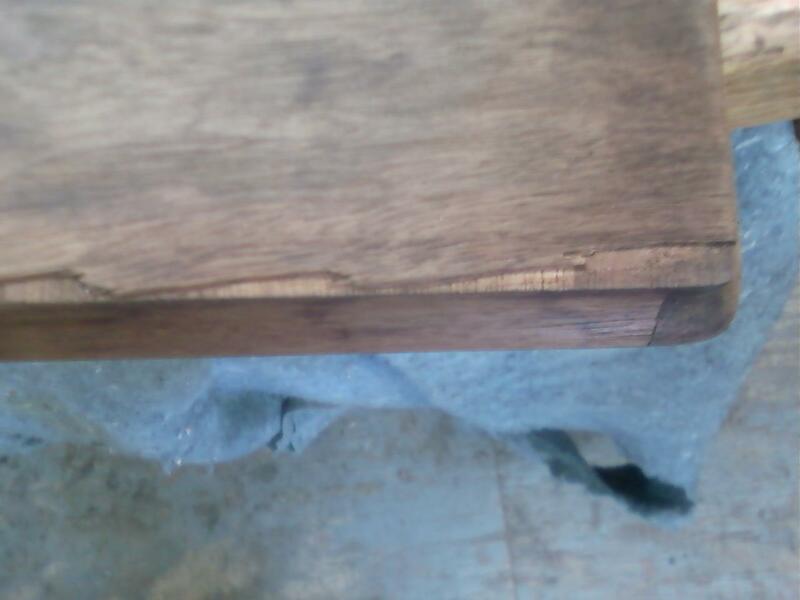 In the first photo there is some blue tape in the upper right hand corner which is holding on a piece of veneer which had fallen off. 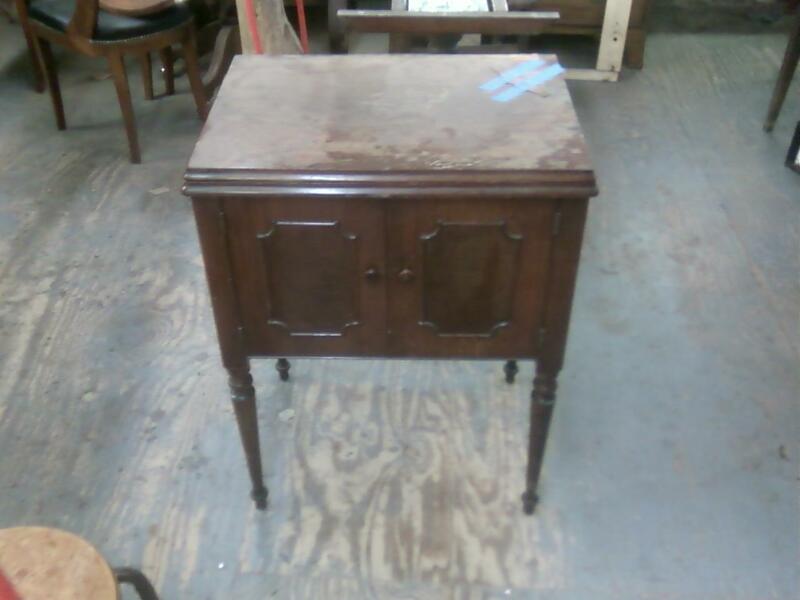 You can also see the water damage to the top surfaces. Here is a photo of the case deconstructed and with the finish removed. This photo shows the veneer mentioned earlier next to the place that it goes. 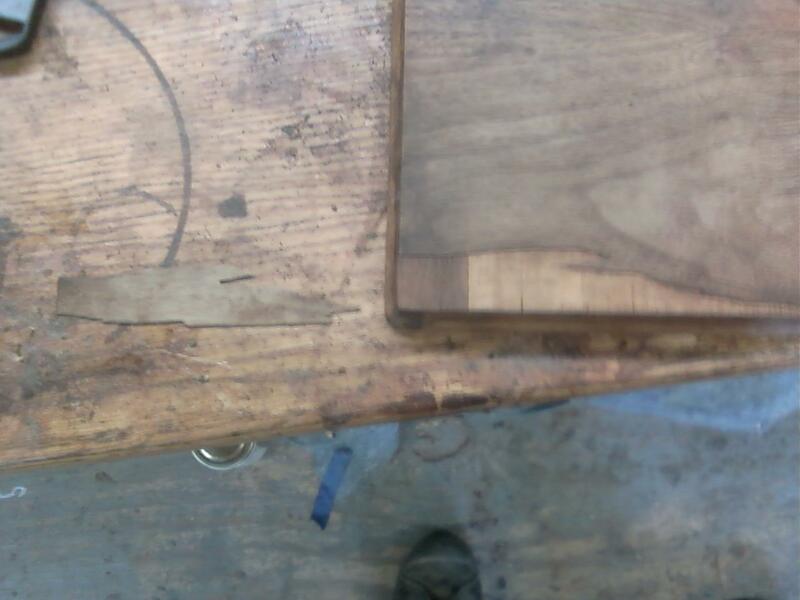 This photo shows some missing veneer which needed to be patched. Gluing the loose veneer on the top down.The 4 x 4 on the back of the top is to counter balance the weight of all of those clamps! 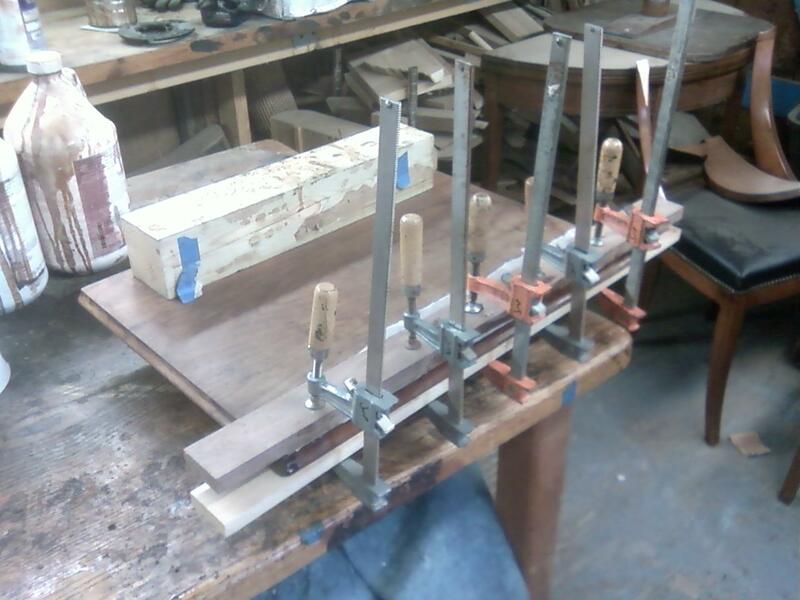 The back of the case also had some loose veneer which is being glued in place in the photo below. 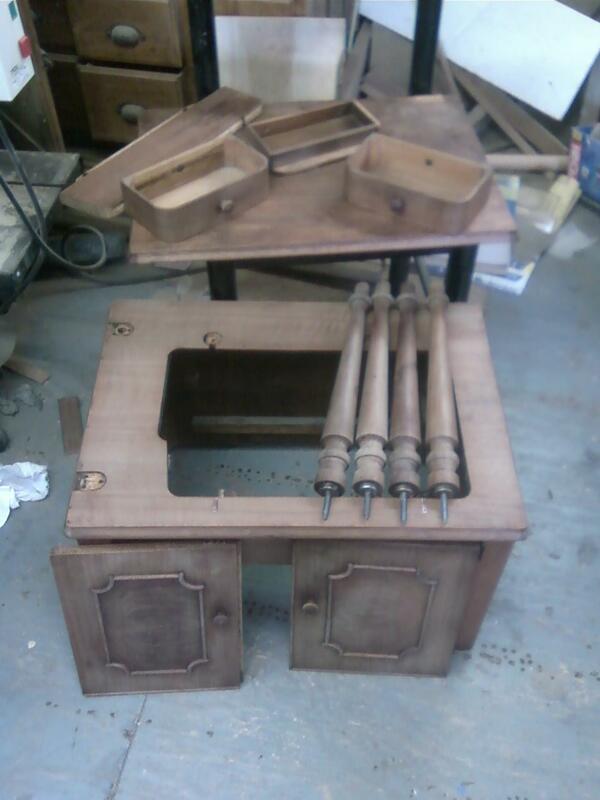 The last two photos show the parts laid out for finishing. I applied a little stain to even out the color a bit after sanding. It is very light so it will be close to the natural color of the wood.In the last photo you can see the top surface repaired. 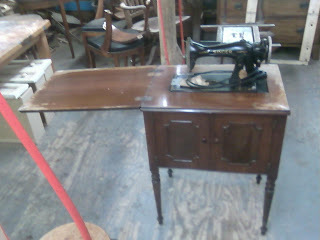 I am attempting to refinish a 1916 Singer treadle for my neighbor. It had been painted white over perhaps a green but has overspray of gold paint from the third coat on the iron. Am currently attempting to remove the paint coats from the iron support and treadle assembly.My question involves how to go about repairing broken out pieces of oak veneer mostly along the edges and one completely missing piece on the bottom of the case enclosure- the place where the machine folds down into. I am not a carpenter and have only rudimentary tools but have managed to reglue some of the raised veneer. Have more to do and then repair the edges. Where can one find veneer for such a project and should it be a particular type? Gain immediate access to 16,000 woodworking plans.